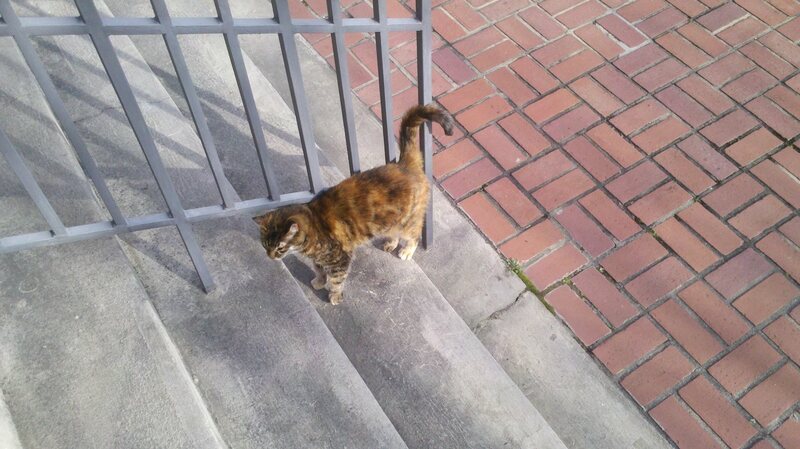 Feral cat on campus: Miss Tichenor Kitty emerges after a long, cold winter | Michael Fuhlhage, Ph.D. I hope that everyone treats this feral cat with respect. They are a welcome addition to the landscape as far as I’m concerned. Oh, I think so, too! I think she’s careful enough to not come to any harm, and I would hope that Auburn being a school with a strong veterinary medicine program, folks would have some respect for wildlife. It’s encouraging that we love our Tigers and War Eagles so much. I’m optimistic that some of that adoration will carry over to little Tigers like Miss Tichenor Kitty, too.